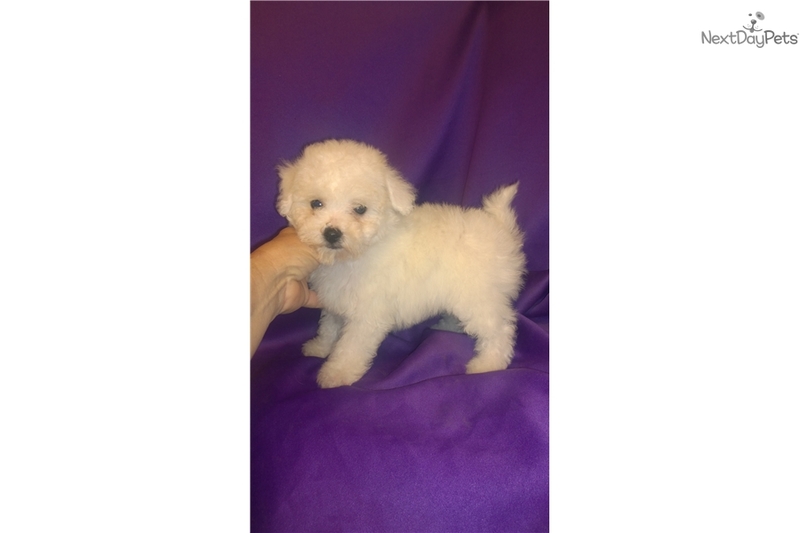 This Bichon Frise nicknamed Toy Size Girl sold and went to a new family. I have a beautiful litter of Toy size Bichons. Mom is 5 lbs and dad is 8 lbs. CKC, shots, wormed and dew claws removed. 30 days of free pet insurance. Deposit will hold. Non shedding and hypoallergenic. Healthy, raised with kids and other pets.